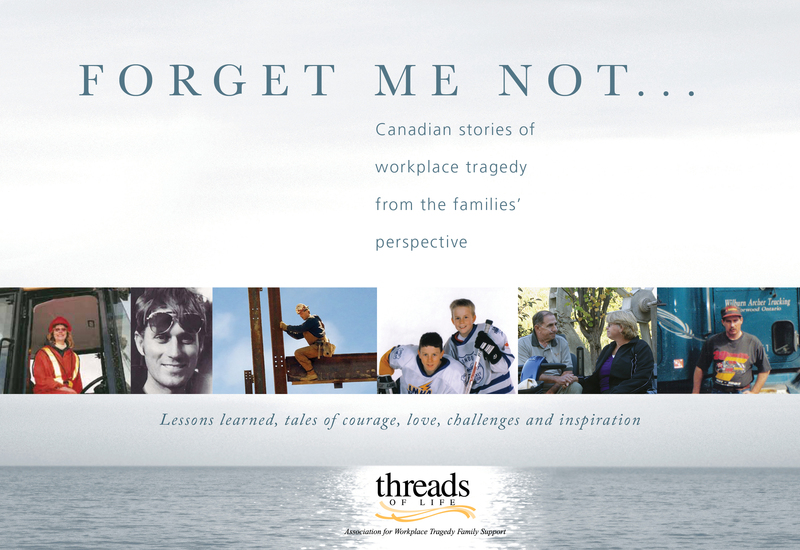 As we approach International Day of Mourning on April 28, I recall a quick lesson in PR school on how to manage an employee’s death on the work site and how I hoped it was something I never had to do. So far, I haven’t. A couple of years ago however, I learned much more about how best to deal with tragedy in the workplace, from Shirley Hickman, a woman (and former client), who exemplifies the “integrity2impact” theme of this blog — out of a tragic loss. In 1996, Shirley and her family’s lives changed forever when their son Tim perished after a traumatic workplace explosion. After the initial shock, the family looked for answers about what occurred and why. Beyond their own needs, they wanted to find out so they could help prevent a similar incident from happening to someone else. Sadly, they learned the explosion was predictable and preventable, if everyone had followed a series of safety rules. Since then, Shirley has focused on making a difference in workplace health and safety through her own initiatives and Threads of Life – Association for Workplace Tragedy Family Support, a national registered charity, which she co-founded in 2003. Build compassion into crisis communications – Check what support services are available for employees and their families in advance and include these details in your corporate communications and crisis planning. Then, if a tragedy occurs, you can ask the family what they need, describe available services, such as grief counselling, employee assistance programs or media interview support, and connect them with the needed help. In some scenarios, staff might also help with practical needs, such as arranging childcare or transportation, immediately after an incident. Manage the information flow – Screen new information, as it becomes available but maintain a sense of openness and transparency by not withholding critical information, including answers to tough questions. If however information can’t be released for legal reasons, then tell the family this. Establish a legacy, after the crisis passes – “Talk about who the person was, the loss to the family and the loss to the community, and how valued the person was as a worker,” Shirley recommends. Positive gestures can range from a phone call to say “we’re thinking of your family right now” or a card to establishing a scholarship or post-secondary occupational or public health and safety program. Shirley believes good crisis communications helps the company and those left behind by “reducing the psychological problems and absenteeism rates that go with extreme emotional stress.” She suggests a critical incident or fatality is not just about one family but the families of all their coworkers too. “They’re watching how the company is responding to the family of the worker because it could have been them, and their families,” she cautions. Granted each organization has its own challenges and limitations but these points provide a good starting place for how to enhance internal crisis communications, from the unique perspective of those directly affected for the long-term. I agree and thought these four tips could prove useful. Your post also offers great insights into exactly “how” to deal with this sensitive task in work-related and other scenarios. Thanks for sharing. Great post, Leslie. The reminder about building compassion into communications is so important. You’d think it would be automatic, yet sometimes everyone is so caught up in legalities that they forget to lead with the heart. Thanks Sue. I agree that it should be automatic but from what I’ve heard, there is often chaos and conflicting fears/concerns when tragic incidents occur. As Shirley suggests, it’s good to step back and look at the broader picture. I found some of the points fundamental but the legacy point is somewhat unique to this scenario and good to keep in mind.